-Many animals are extremely frightened and stressed at the sight and sound of fireworks. -Animal control officials across the country see a 30%-60% increase in lost pets each year between July 4th and July 6th. 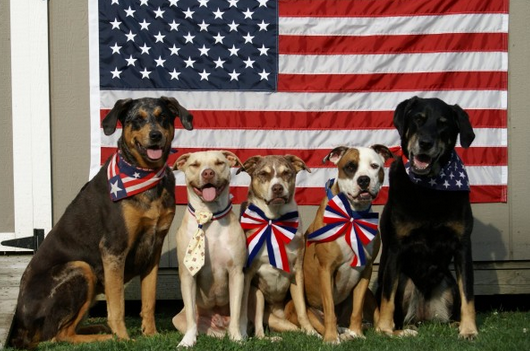 -July 5th is one of the busiest days of the year for shelters. 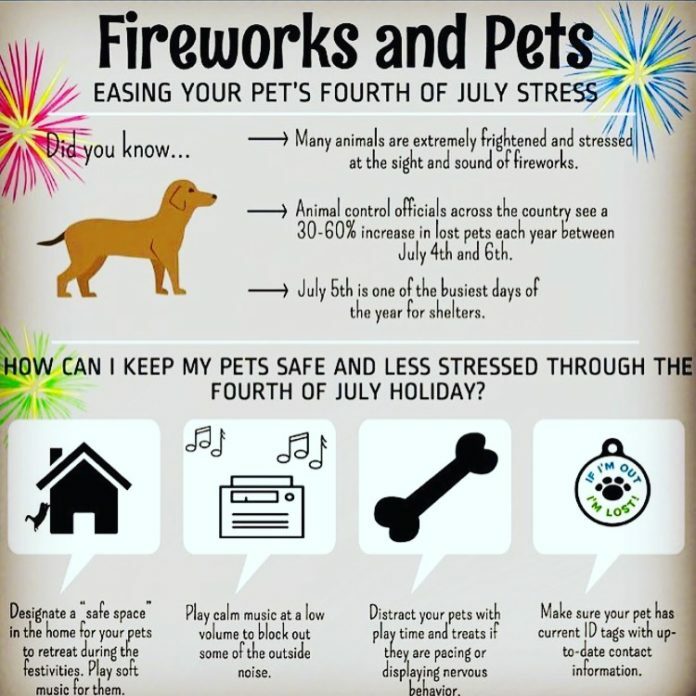 How Can I Keep My Pets Safe And Less Stressed Through The Fourth Of July Holiday? 1) Designate a “safe space” in the home for your pets to retreat during the festivities. 2) Play calm music at a low volume to block out some of the outside noise. 3) Distract your pets with play time and treats if they are pacing or displaying nervous behavior. 4) Make sure your pet has current ID tags with up-to-date contact information. A Happy PET is a HAPPY HOLIDAY!